Sneak Peek of a Winter Wonderland card. 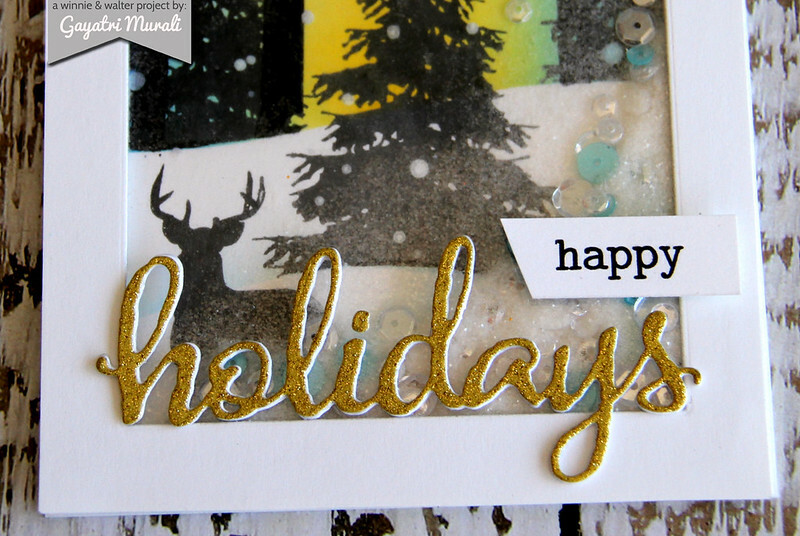 I have a Winter Wonderland Shaker card at Winnie & Walter blog today. Check out Winnie & Walter’s Blog for more details on how I made it. Tune in soon for my last card set in the Christmas Card Set series. Saw it over @ W&W. I love it. It is like looking through a winter window.